John Lewis Jackson was born in Wynnefield, Pennsylvania, on July 15, 1909. After attending Overbook High School and Staunton Military Academy, he enrolled in Penn’s Wharton School in 1929. 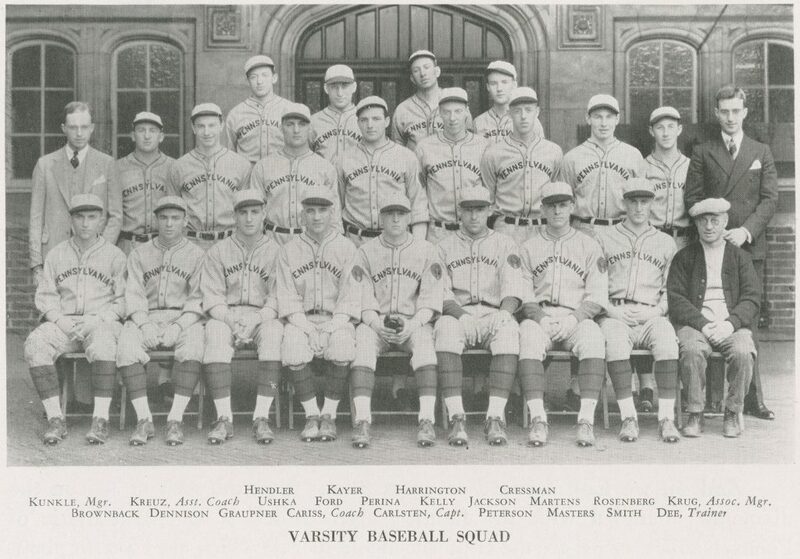 At Penn, Jackson was a member of both the varsity baseball and varsity basketball teams for three years, from 1931 through 1933. He was also a member of the Sigma Chi fraternity. Jackson left Penn after four years, before he had completed his degree. On June 20, 1933, Jackson made his major league pitching debut with the Philadelphia Phillies. He won his first game and went on to play ten games that season, his only one in the major leagues. Jackson spent a year in the army and then became director and vice president of Jackson & Moyers, a Philadelphia clothier firm founded by his father. He died at age 48 on October 22, 1956, in Somers Point, New Jersey.